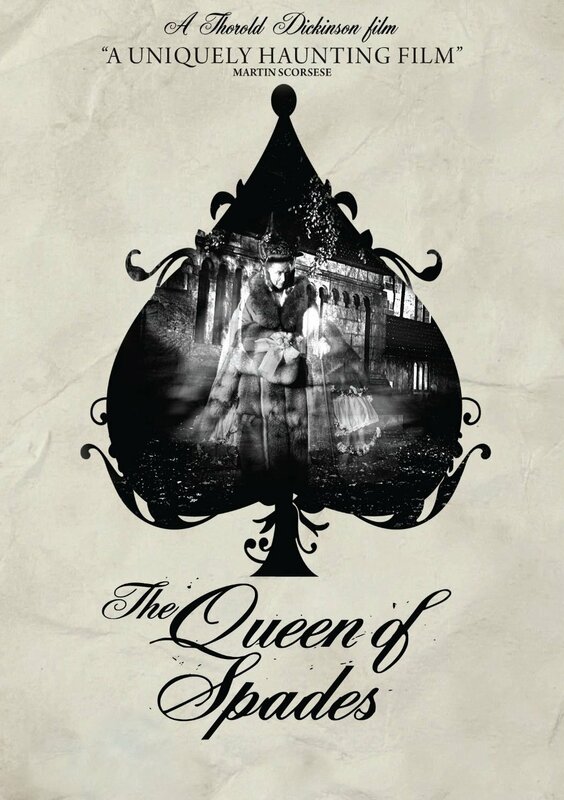 A somewhat forgotten film, The Queen of Spades seems to be making a quiet return. Made on a small budget, the film was nominated for a BAFTA (British equivalent of the Oscars) and was screened at Cannes, before dropping off into obscurity. Based on a novella by Alexander Pushkin, the film follows one man’s obsession for money and control. It is set in 1806 in St. Petersburg, in snowy streetscapes and glittering opera houses. A regiment of soldiers frequents a basement den of iniquity, complete with dancing and singing gypsies, tankards of vodka and gambling. The game of choice is Faro, a simple two-person came of chance. 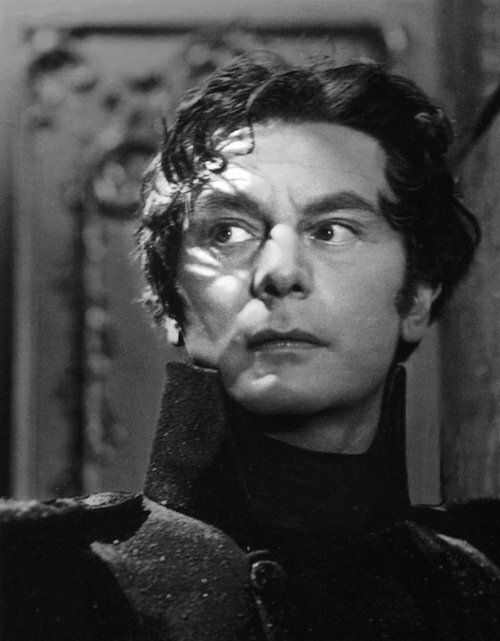 The protagonist, Herman Suvorin (Anton Walbrook) is captain of the engineers, and a German. He does not partake in the revelry, choosing instead to save his money and live fastidiously. The handsome captain lives in a spare apartment. The bedclothes are modest, the candlestick is well-waxed and It’s clean and everything has its place. He carries no debts and exists simply. And he seems contented, if not entirely ecstatic with his situation. That is until he hears the story of a Countess, who traded her soul for the secret to winning at Faro. That was sixty years ago. She is now an old, embittered woman (Edith Evans) and the secret will soon die with her. In stark contrast to the captain’s ruthless nature is Lizavetta Ivanova (Yvonne Mitchell). 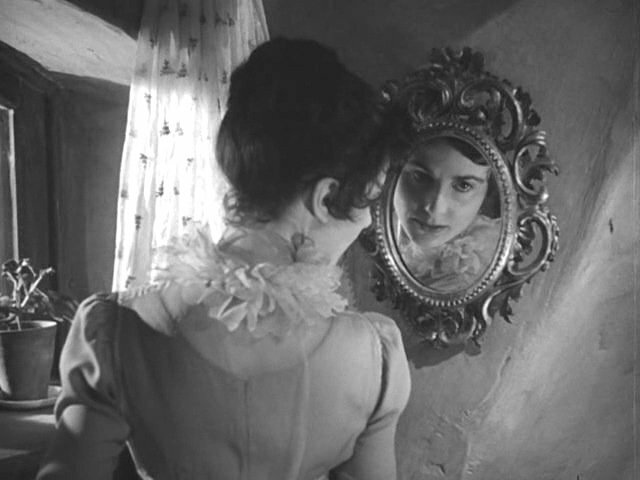 She is a young woman, now the ward of the countess, after she was orphaned. 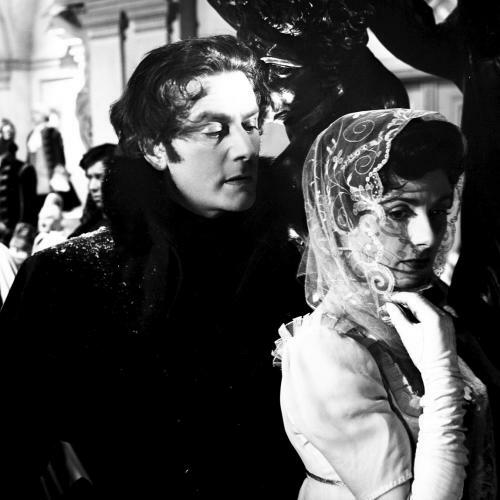 in return for the countess’s magnanimity, Liza is the old woman’s companion. She puts up with her complaints of draughts and impertinent young people, and wishes to be free of the countess’s constraints. Liza has more affection for the servants than her benefactress and sees no use in a frivolous amount of money. Their two realities meet and a tempestuous relationship begins. They each have something the other wants — the captain wants into her gilded cage, while she wants a way out. I found myself much more interested in the supernatural intrigue than the love story and I wish the film had focused more on it. A good bit of the middle is melodramatic with love letters and swooning. One of the stronger scenes is all too short (in fact, there is an awkward cut, which makes me wonder if some footage was lost). The captain goes into a used bookstore and stumbles upon a mysterious volume of stories. It’s telling that the film chooses a German, the home of the Brothers Grimm, to be the one to believe in “fairy tales” such as these. For no sensible Brit or world-weary Russian would consider the stories in this book anything more than a collection to pass the time. The film is beautifully shot in high contrast black and white, and often in the shadows. 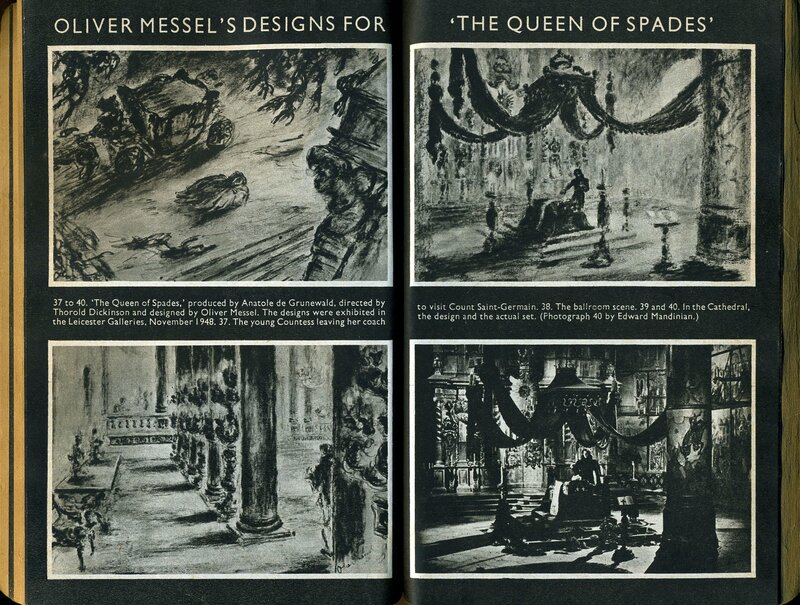 It’s reminiscent of the Tourneur/Lewton projects but more classical in style. Austenites will recognize some similarities in the social situations, the dress, and the dancing. Indeed, Liza could well be an Austen heroine herself. Perhaps that is the British film team’s influence creeping in. After all Russia, holds a strange place on the map — not quite the mystical East, nor the civilized West. It’s still long before the Bolshevik revolution, and nearly ten years before Waterloo. There is a sense of wealth that has nothing to do but indulge in decrepitude. Unfortunately, it does not appear that Netflix carries this title yet (although they do have various ballet versions), so in order to see it you will need to purchase it – which is still a bit tricky in the US. Hopefully, this resurgence in interest will bring it to a wider audience. If you do get a chance to watch it, hang on for the end. Yes, the “love” stuff will feel a bit outdated and overwrought, but the last 15 minutes are stunning and chilling. It’s when all the supernatural buildup comes together. A special thanks to Jim Reed and the Psychotronic Film Society who found and screened this film. I doubt I would have ever seen it otherwise!